The business world and the very dynamic and highly competitive current situation of economic uncertainty demands qualified professionals with solid knowledge of different management areas and, moreover, with personal and professional skills, such as versatility, adaptability, reflection, determination, and creativity. What are the benefits of taking an International MBA? The International MBA is the managerial training program par excellence, which trains its participants to reach positions of responsibility in a company by means of acquiring the managerial skills required for the management of companies and institutions. As such, apart from management training, an MBA ensures recognition from the entire business community. Therefore, it is the best program to gain and consolidate new tools and knowledge, through experience, that facilitates the transition towards a better job in our professional careers. The International MBA Barcelona / New York has been designed so that participants can enhance and increase their knowledge in business management and administration, work with the main management tools and strengthen their managerial skills and competencies. It is a management Master’s degree focused on understanding all areas involved in the management of organizations, with a complete overview of the company, the way it functions and how it is organized. All of this is enriched by the networking opportunities available with the other participating professionals, our teaching staff and the professionals invited to our conferences, discussions, and activities, which is crucial for enhancing professional positioning. 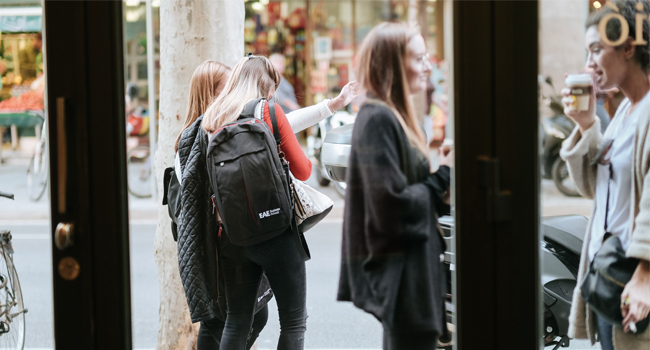 The student will have the option, at the end of the school period in Barcelona or Madrid, to complete a two-week residential stay at Pace University (New York). The EAE Business School International MBA is a one-year program taught in Barcelona, a city recognized for its competitive and international environment, perfect for doing an International MBA, the management training program par excellence, with the recognition of the whole business community. The master is given at the Polytechnic University of Catalonia (UPC), one of the school’s academic partners in Barcelona. Students are offered the option of studying a semester abroad in the Pace University - Lubin School of Business New York of New York, a private higher education institution committed to offering students a high quality, global business education. Pace University offers our students a real opportunity to gain insight into the meaning of business success, in New York and around the world. EAE’s MBA, named as one of the best in the world in the Best International Business Schools 2018 ranking of the prestigious US journal Bloomberg Businessweek. The Schools ranked 32nd in a list of the best business schools in the world to take an MBA outside the USA. EAE ranks among the Top 5 Spanish business schools to be named on the highly respected classification. The program aimed at students seeking international professional development, in order to give them maximum visibility amongst the multinational companies collaborating with EAE. Activities are therefore organized such as the Employment Workshops, interviews with headhunters and access is given to international selection consultants around the world. EAE, member of the Executive MBA Council. The School is a member of the Executive MBA Council, so all of its programs meet the international academic and quality standards required by the association. Highlighted among the 65 best in Europe and the 200 best in the world (QS Global MBA 2018 ranking). For the first time, it enters the European ranking of the best MBA and reaches the Top 35 (Eduniversal Best Masters Ranking Worldwide 2016-2017). The EAE MBA was the first general management program to be given in Spain and has now been offered for over 50 years. The Business Plan drawn up during the program and tutored by a teacher is the key piece to the International MBA. The aim of the plan is to set out all the contents obtained on the program in a company creation project. 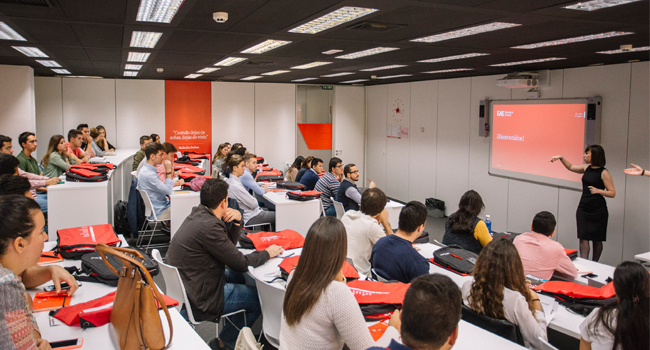 On the Business Networking cycle, students will attend a series of meetings with professionals from large companies and other EAE students, thanks to which the participants have the chance to expand their network of professional contacts. EAE’s Soft Skills International MBA program is intended to help participating professionals complete their training with the strategic mobilization of their personal skills. It includes ten independent monthly workshops organized along the Emotional Skills Model. Minimum of 3 years of professional experience to access the MBA. Have an English certificate (see available options). Students who successfully pass the course will obtain the Master of International MBA Barcelona - New York degree from EAE Business School. In addition, students who fulfill the established academic requirements will obtain the Master of International MBA Barcelona - New York degree from Universitat Politècnica de Catalunya (Barcelona). In order to obtain the degree from partner universities, it is necessary to fulfill the requirements established by the institutions. The main objective of the admissions process is to ensure candidates' suitability for the program, by looking at their professional experience and their academic CV. Our aim is for all participants to make the most of the experience we offer through a context in which they may develop a long-term relationship with classmates, teachers, and alumni. 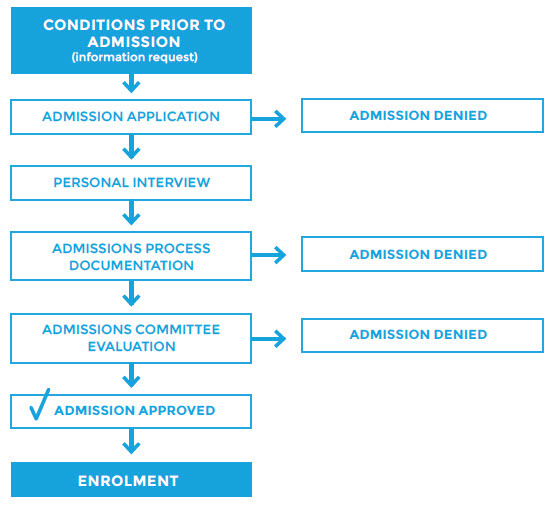 In order to start the admissions process, the form has to be filled in so that EAE's Academic Committee can consider the application. If the decision issued by the Academic Committee for the requested program is positive, the candidate can complete their enrolment. EAE assesses the competencies that companies value most and passes them on to the students in order to facilitate their employability. The aim is to reach the level of development demanded by the jobs market.